Nigerian singer, Davido’s second baby mama, Amanda is already finding motherhood stressful as she took to her Snapchat account to lament on her new found motherly role. The US based lady revealed that she employed the use of technology to help pacify her daughter, Hailey. 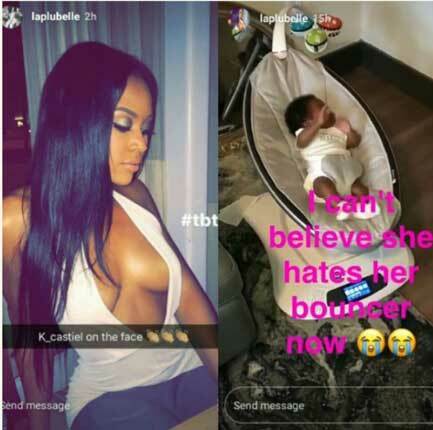 However, the second daughter of Davido prefers her mother’s touch and doesn’t not like the substitute pacifier. The young mother wondered why technology can’t give her baby the motherly touch she desperately desires. Amanda shared a photo of her cute baby with a caption and some cry emojis.